Occupying some two thirds of the old czarist province of Bessarabia, with the rivers Dniester to the east and Prut to the west, the Republic of Moldova is a small, poor, landlocked state. Its parliamentary election, held on November 28, should have been irrelevant to anyone except the faraway country’s three and a half million people, of whom we know but little. There is more than meets the eye, however. A strategically significant strip of Moldova’s territory along the east bank of the Dniester has been under effective control of the breakaway government of Transnistria since 1990. The conflict has been safely frozen for 18 years, but Romania—since 2007 a member of the European Union—now wants to involve “Europe” in resolving it to its satisfaction. Bucharest has an irredentist agenda in the territories which had belonged to the Greater Romania (Romania mare) between 1919 and 1940, with an assertive posture in Moldova topping that agenda. The potential for regional instability is considerable. 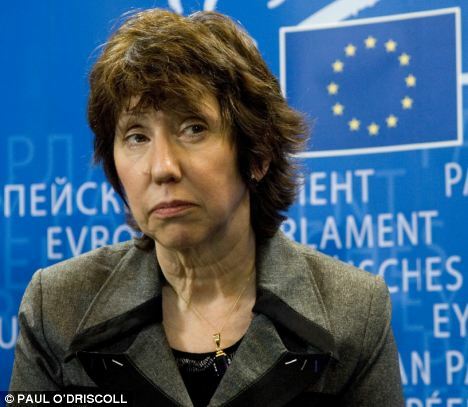 In a joint statement, issued on 30 November, Baroness Ashton, the E.U. foreign-affairs chief, and Stefan Füle, the commissioner for enlargement, said that the elections give Moldova “an opportunity to consolidate political stability.” In fact they do nothing of the kind: with most of the votes counted, the “pro-Western” Alliance for European Integration (AEI) has won a half of the vote but remains three parliamentary seats short of the 61 needed to elect the new president. The Communists, who are morphing into Social Democrats and advocate accession to the Customs Union of Russia, Belarus and Kazakhstan, won 42 seats. Their leader and former president Vladimir Voronin remains Moldova’s most popular single politician. The “Europeans” are troubled by the animosity between Vlad Filat, the prime minister, and Mihai Ghimpu, the country’s acting president. President Basescu regularly talks of reunification, and he is eyeing not only Moldova but also Ukrainian territories in the Danube Delta and in North Bukovina, annexed by the USSR in 1940. (He calls his vision “undoing the fruits of the Molotov-Ribbentrop Pact”). In May he warned that if Kiev has pretensions to Transdniestria, then Ukraine may face demands for the return of Southern Bessarabia and Northern Bukovina. Romania’s national objectives and state interests, as articulated by its postcommunist political elite, are inseparable from the Moldovan problem. Its key element is the claim that Romanians are civilizationally an outpost of “the West” amidst the “Eurasian” Slav-Magyar sea. Even in the 21st century they remain—in the words of historian Lucian Boia—Europe’s “last bastion before the immense, vague and unsettling space” left behind on the ruins of the USSR. The parochial and quaintly ridiculous 19th-century myth of the Romanians as linguistic and cultural heirs to Rome has morphed, under the EU guise, into potentially destabilizing attempt to draw “the West” into disputes unworthy the bones of a single Pomeranian grenadier. But Romanian nationalism, freshly minted, weak and insecure, had always rested on audacious territorial aspirations. The collapse of Austria-Hungary and imperial Russia made possible the creation of the Greater Romania (1918-1940), by crook more than by hook. East of the Prut, however, Bucharest proved singularly unequal to the task of nation building. Bessarabia remained unintegrated socially, undeveloped economically, resentful politically. The European Union and the United States should not to get drawn into pulling Romania’s chestnuts out of the Bessarabian fire. Bucharest does not enjoy a carte blanche from Brussels now, it should not be given one in the future, and EU officials should refrain from making statements that suggest otherwise. Luckily, the financial crisis has made financially prudent European powers—and especially Germany—more impatient than ever with their poor relations along the periphery of the Union. They should remain aloof to their special pleading and indifferent to the non-issue of whose flag flies over Kishinev, let alone Tiraspol.